All the Pretty Things: Focus on Life ~ March, 'Checked Out': Week 11 "Beauty All Around"
Oooh! I love those carvings! they are gorgeous. That hand reminds me of the sculpture in Washington DC called "The Awakening". 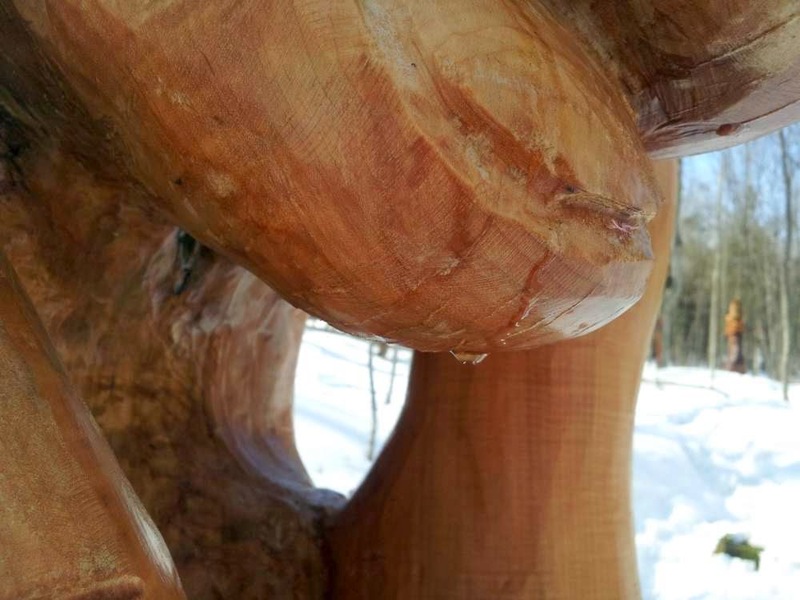 It's maple sugaring season here too! Always a great sign of spring! I enjoyed reading the history of this place. It sounds like a great place to visit. And those sculptures are amazing. It sounds like an interesting place to visit and fun way to spend the day. The hand coming out of the ground is really cool. oh wow!! Cool sculptures and even more cool was all the info on this lake - fascinating. I miss real, fresh maple syrup (and I'm not a syrup kind a gal). There's a place called 'Funk's Grove' a few miles up the road from my hometown that produces some of the best I've ever tasted. Now you have my hungry for cornbread or pancakes!! LOL!! That gecko is cute.. thought for a moment that it was real... but then realized we were looking at snowy Canada! What a wonderful surprise! You photos are great. What a great place to visit! I loved to read about its story. Wow, what amazing sculptures - they are all so beautiful, but I do have a weakness for butterflies and moths - that one looks so delicate and beautiful. Such beautiful carvings and such a gorgeous warm colour that wood has. They were just crying out to be photographed against the white of the snow. Thanks for teaching me a new word: meromitic! Loved hearing about the lake and can understand why you enjoy spending time there. 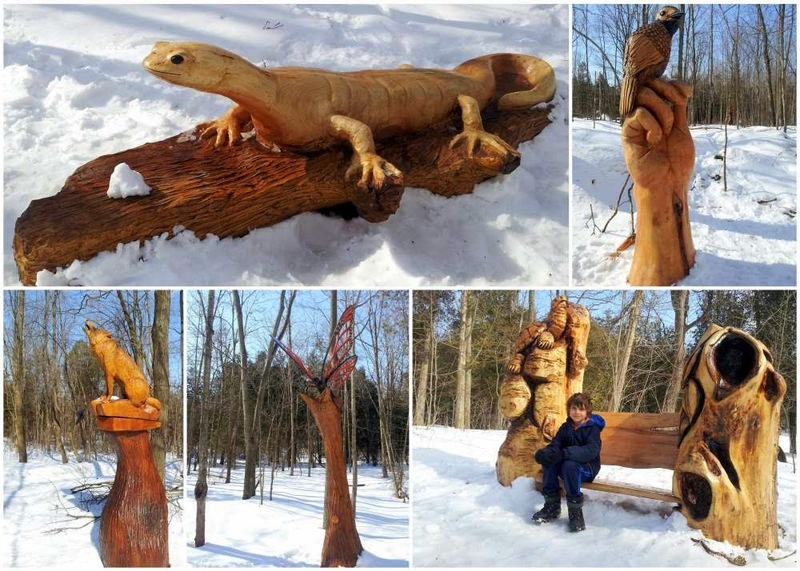 Those wooden sculptures are beautiful!